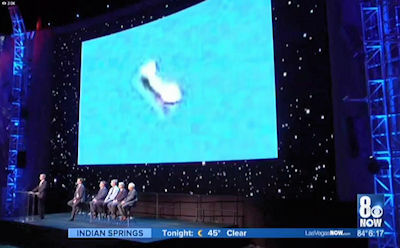 LAS VEGAS - A team of former spies and spooks came out of the shadows Wednesday to talk about UFOs. Pentagon or intelligence agencies, which is where they were first exposed to classified information about UFO encounters. Now, they've signed on with rock star Tom DeLonge in his quest to build a public company that could study and harness exotic technology.